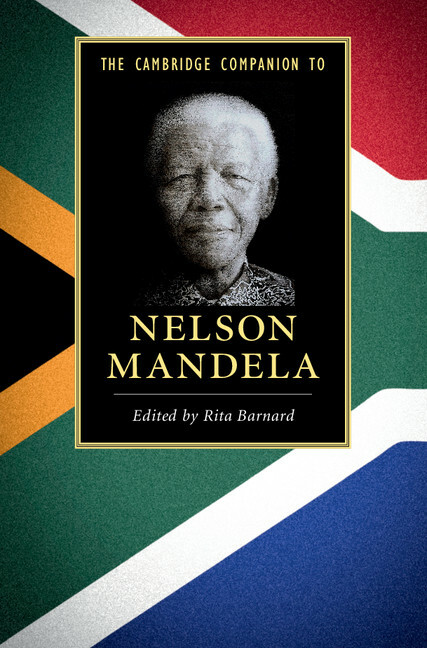 Rita Barnard, editor of The Cambridge Companion to Nelson Mandela, discusses how Mandela's looks played an essential role in the African National Congress' reemergence into the national and global sphere. Though many readers find it sober and pedagogical, Nelson Mandela’s Long Walk to Freedom contains many moments where levity arises in dire circumstances. One such moment occurs at the beginning of a section entitled “Treason.” Mandela recounts how, to the distress of his young children, the security police banged on his door in the early hours of the morning with a warrant for his arrest: a warrant on which he was alarmed to read the ominous words, HOOGVERRAAD—HIGH TREASON. Before too long he found himself, along with many other prominent anti-apartheid leaders, in the grim precincts of the Old Fort Prison in Johannesburg. There, in the nippy breeze, the prisoners were forced to line up against a wall and stripped naked—clearly to humiliate them, these “priests, lawyers, doctors, men of middle or old age, who were normally treated with deference and respect.” Angry as he was, Mandela could not suppress some laughter at the sight of the prisoners: “If fine bodies and impressive physiques were essential to being a leader,” he declares, “I saw that few among us would have qualified.” From the experience, he claims to have learned the truth of the aphorism “clothes make the man”—and his skillful sartorial choices in years to come would seem to confirm that he absorbed that lesson well. But this is also a moment when the autobiography maintains a modest silence (one of those silences that, as Tom Lodge has noted, distinguishes the protocols of the genre from those of biography or history). For Mandela, with his six foot-four frame and his boxer’s muscles, must have looked a lot more impressive than his companions. Was this the moment when Mandela, who was not only a man with a flair for the theatrical, but a calculating strategist with an eye to long-term goals, made a mental note that there might be advantages to looking like a leader? Is this why he exercised so strenuously in prison, faithfully performing his routine of sit-ups, push-ups, and running in place? The word “beauty” is not often used in serious scholarship about a political leader. Perhaps this is because the academic world remains a rather drab one in which matters of appearance are still considered trivial. In Mandela’s case, they were far from that, and the ever-irreverent Wicomb is right to address his “skoonheid.” But perhaps she overemphasizes Verwoerd’s agency and underplays Mandela’s. At stake was surely a carefully calibrated performance of self—for beauty is not only a matter of having a sculpted face and physique, but also a certain grace of expression and conduct. This was part of that phenomenon of the 1990s that we have come to call “Madiba Magic.” To understand this phenomenon, we need (however reluctantly) bring to mind the crude machismo of the apartheid leaders, whose appeal was based on obedience and fear, rather than attraction and affection. The scowl, thick lips, admonishing finger, and truculent spirit of P. W. Botha elicited a sense of shame (on top of all the other negative feelings) on the part of a population that had become increasingly media-aware since the introduction of television in 1976. In a recollection published during the period of mourning for Mandela, a journalist, Karin Brynard, recalled what a grim place parliament was during the years when P. W. Botha’s “depressing irritability [“bedonderdgeit”] hung over the place like a moody cloud.” So, on that day when Mandela presided over the opening of the first democratic parliament, when he read out Ingrid Jonker’s beautiful elegy for the child who was shot at Nyanga, when his praise singer “ripped open that gloomy atmosphere with his exuberant cries and ululations,” Brynard and her editor, up in the press gallery, grabbed each others’ hands, tears in their eyes. Such was the sheer relief at the change Mandela brought: the entry, not only of justice, but also of a dimension of aesthetic pleasure into South African public life. To be sure, the elation captured was fleeting: it was part of what Deborah Posel, in her contribution to The Cambridge Companion to Nelson Mandela has called a politics of enchantment, the long-term effects of which have not necessarily been beneficial. And participants in the last, long, bitter phase of the liberation struggle (from 1976 until 1990) rightly complain about the exceptionalism that accompanies the global myth of Mandela as South Africa’s liberator. But while we must acknowledge the courage and pain of other leaders and foot soldiers, it is important to recognize that the ANC’s re-emergence into the national and global public sphere after decades of invisibility was facilitated and shaped in incalculable ways by the fact that Mandela looked every bit like a leader: that he could seduce politically because he was beautiful, and was therefore, unlike those charmless apartheid leaders who preceded him, easy to love.